Why do the spirits of people linger long after they've passed from the living world? This is a central question in Lauren Oliver's first adult novel, Rooms, a powerful haunted house story that digs deep into the cracks of a broken family, and the house they grew up in. It's the perfect novel to kick off your fall reading. Richard Walker, family patriarch, has died, leaving behind a large house in Coral River, a lifetime of detritus and a family: Caroline, his perpetually intoxicated ex-wife, Minna, his emotionally crippled daughter, and Trenton, his suicidal son. They've arrived to sort out the remains of Walker's life, and with their arrival comes the sort of storm that only comes when a complicated family comes together in a confined space. Little do they know, they're observed by two ghosts who inhabit the walls of Coral River, both of whom died in the house. They've been there for a long time, watching the family and arguing with one another. The book is excellently paced, with a rotating cast of narrators picking up the story and running with it. The book itself is divided into eleven sections, based on the rooms of the house: the Kitchen, the Dining Room, the Hall, the Living Room, the Bathrooms, the Attic, the Bedrooms, the Greenhouse, the Basement, and the Study. In doing so, Oliver imbues as much attention to the house, with all of its creaks and groans as she does her characters, and where setting might simply become a part of the background, it's a wholly fleshed out character in its own right, giving the book a unique sense of place. As the family arrives at the house, they're coming from the slow destruction of their own lives: Trenton was recently recovering from an accident that left him hospitalized and depressed. Minna and her daughter Amy have their own troubles: recently fired from her job, she's left behind a string of one-night stands that leaves her questioning her worth. Caroline is a dedicated alcoholic who's never quite gotten over her divorce, and maintains a strained relationship with her children. Now, they're all back together under the same roof, much to the consternation of Alice and Sandra, two of the house's previous residents who linger on long after death. Rooms is about the memories that linger, and crucially, inform the relationships between family members and friends. Everyone under Coral River's roof has something that's holding them back, and Oliver excels here as she sets up a gripping storyline that is centered squarely on the characters. Room by room, we watch as each of our narrators settles in as they prepare for Walker's funeral. As they do so, we take a good look at their lives and what's brought them to this point. Framing the book through the 'eyes' of their childhood home is an interesting way to examine the workings of a dysfunctional family. The home is ripe with memories which the family goes through as they begin to pack up and sort through the remains of Walker's life. The result is a painful process in which they all reflect on what brought them to this point: their troubled relationships with the patriarch, with one another, and themselves. The arrival of a new ghost in the house as all this happens brings about another set of questions and answers. As the family goes through their own drama, the two spirits do the same: They've lingered in the house for a long time, and the revelations which the family comes to provides a good time for them to go through their own identity crisis. Oliver does an excellent job tying everything together into a cohesive plot, from the nature of the ghosts and their own secrets and relationships, the makeup of the house, and each member of the family and their particular quirks. In the end, the book comes down on how memories help form our identities, but also at how they hold us back (in some cases, literally) from moving on from past tragedies. Coral River is literally inhabited by memories, alongside each character's own complicated relationship with one another, which is in and of itself based on how they interacted in the past. Oliver doesn't draw out simplistic characters: each are complicated, detailed and wholly believable people who are fundamentally flawed as they each struggle towards some measure of healing. It's the journey that counts, and the week or so that they spend cleaning up and dealing with the aftermath of their Walker's death proves to be an enlightening one, with an appreciable amount of drama ensuing. Rooms is the sort of book that would fit well in Wes Anderson's repertoire, but far better grounded. 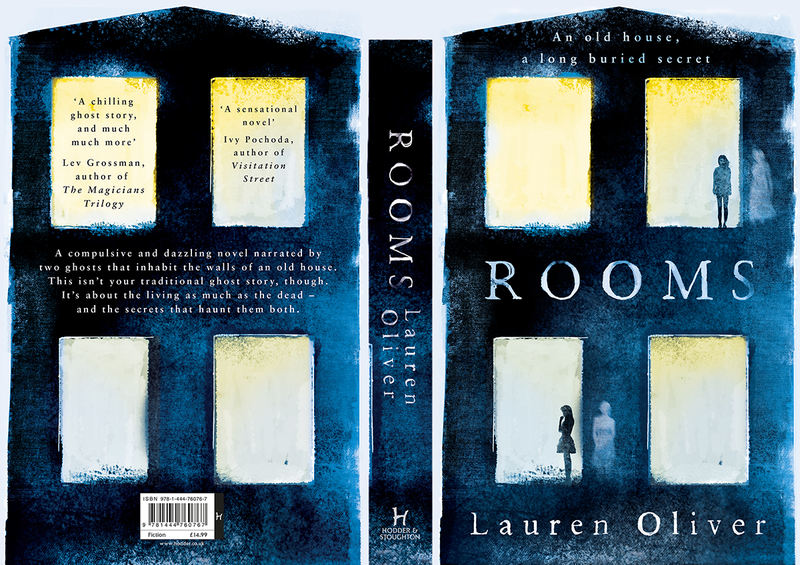 Ultimately, Rooms is an outstanding novel, with a brilliant array of characters and a powerful look at just what makes up a family. It's a book that's compelling and difficult to put away: even a week after putting it down, it has stuck with me in ways that few books do. Oliver's particular blend of fantasy is at times funny, other times heartbreaking against the backdrop of a gothic haunted house story. It's certainly one of the better ways to start off October.